Trapped within the infamous walls of the Atkinson’s house, you will have to face multiple horrors that roam the halls. Bringing one of the most confusing and horrific experiences, RYM Games developed The Dark Occult. Formerly named after the inspiration behind the game, The Conjuring House, this game will show you just how scary this series can be. Watching it unfold is one things, but experience the events is way worse. You play as the last member of a team of paranormal investigators, you enter the home in hopes of finding your missing team members that you lose connection with. It doesn’t take long for you to find that they have met a dramatic end and that you need to get out before you meet the same fate. Low and behold the house has trapped you within by blocking all exits leaving you with one final choice: find the source of the evil and defeat it to earn your freedom. If not, the cost will be your life! From the moment you enter the house, you can see how the place has gone to shambles from the passing of time – and perhaps something more. With only one door unlocked for you to enter in the beginning, you get your first experience of finding a key within the creepy atmosphere. This will lead you into the next set of rooms and eventually to your first puzzle. The game is full of puzzles that you will have to search throughout the house for. There are mini-puzzle challenges that stop you from the bigger puzzle, but everything requires progress to continue. Each piece of every puzzle, small or large, has an experience tied to it that you may or may not be ready for. The game is all about finding items. The puzzles all require you to find an item to continue making progress, be it a key or some other way to break into a room. There are also secrets that you will unlock with items, and some secrets that you will have to find without items. Throughout the game there is one main enemy that can pop up at any time and anywhere. She is not bound by walls and there is only one way to get her back; a protective talisman. 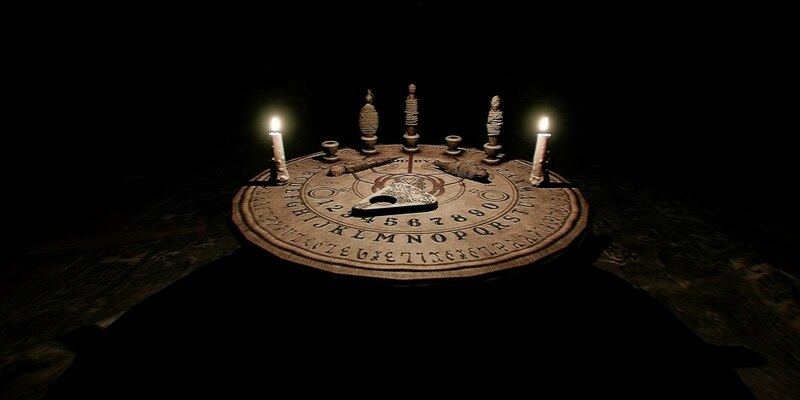 You can find these talismans the same way you can find batteries for your flashlight; within drawers and on various surfaces throughout the house. Always be sure to check inside for what goodies may be hiding inside any room, surface, or drawer. You can find pieces of the map, but until you find all of the pieces the map will remain incomplete. The doors aren’t shown, but doorways are. This means that it is up to you, the player, to remember if it is a blocked door, locked door, or unlocked. The only things that show on the map are the doors locked with a specific key, separated based on which horoscope the key represents, but only after you try to open it. If you haven’t touched the door nor looked directly at it, or worse yet it is in a section of the map you don’t have, then it won’t show up for you. Remembering the houses layout, what sections you have been through, where you need to go, and what needs to be found will be key to making progress. Knowing what section you will need to focus on next is the challenge in this scenario. While you will want to unlock every door, you will only be able to make progress within your current puzzles limitations. The game looks nigh realistic and every enemy has incredible detail. Even when I played the game on the lowest graphical settings available, the detail on my surroundings and the enemies within were amazingly graphic. 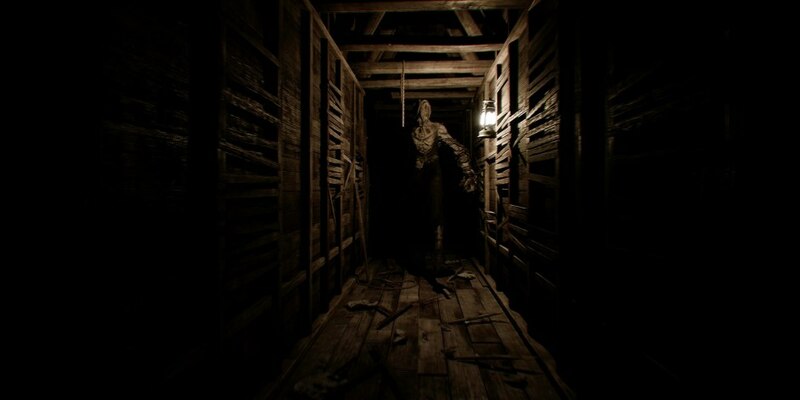 As for the sound effects featured in the game, there is a constant looming noise that seemed to follow you through the house. If you were near a room with a chandelier, you could hear the chains clanking. Your footsteps matched in volume whether you walked or ran, even if you were just turning around. The best part is that you could hear the main enemy screech from the nearby rooms as she randomly appears throughout the house. It really made it feel that she was popping up in random rooms expecting to find me. In a game that is all about item hunting, naming the items that you need to find need to be on point. There were a couple times the item named isn’t accurate to what I needed to find, although it was close. An example of this was being told to find a hammer to break down a wall in the attic, but before I found the SLEDGEHAMMER that I needed to find for the wall, I found a tool bench with hammers all over it and I didn’t understand why I couldn’t grab one of those since I needed to find a hammer. There was a rather detrimental issue I found in the game and that is that there is practically no guidance system. While most games that have to do with finding items, there is some form of path given to the players. Even in Remothered, a game I reviewed last year that takes place in a single home that has players searching all over the house for items, there was a guidance system by having each item found correlate with the next step for the player. The Dark Occult felt like a was running all over the house and needed to remember where I found items because until I completed a huge amount of item collection tasks I wouldn’t be given a new direction. The Dark Occult hits the nail on the head with the horror aspect. Never knowing when the main enemy is going to show up and being surprised from all the different types of enemies that start to show up as you progress through the game. I enjoyed the feeling of uncertainty while I searched through the house to fight my way out, but I wish there was a clearer path through the game and didn’t care for being force to roam randomly throughout the house to figure out what to do next.